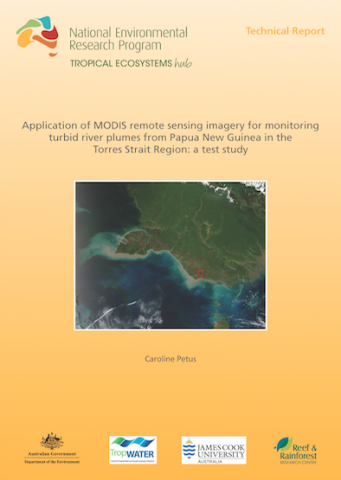 Petus, C. (2013) Application of MODIS remote sensing imagery for monitoring turbid river plumes from Papua New Guinea in the Torres Strait Region: a test study. 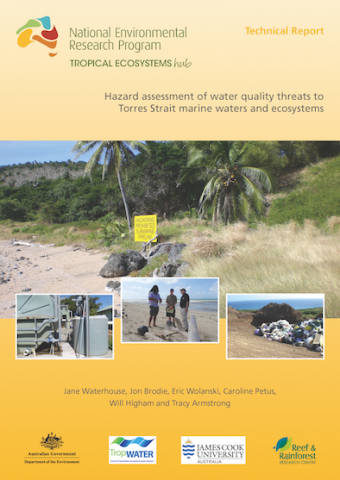 Waterhouse, J., Brodie, J., Wolanski, E., Petus, C., Higham, W., Armstrong, T. (2013) Hazard assessment of water quality threats to Torres Strait marine waters and ecosystems. 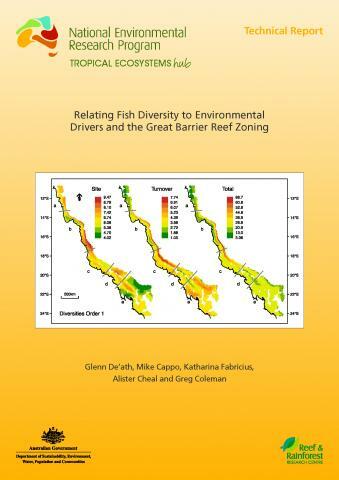 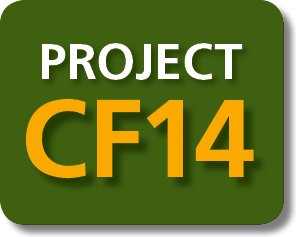 De'ath, G., Cappo, M., Fabricius, K., Cheal, A., Coleman, G. (2013) Relating Fish Diversity to Environmental Drivers and the Great Barrier Reef Zoning. 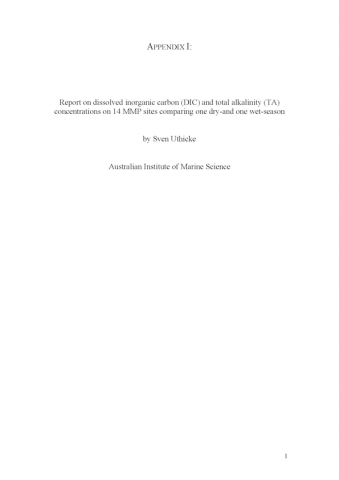 Uthicke, S. (2012) Report on dissolved inorganic carbon (DIC) and total alkalinity (TA) concentrations on 14 MMP sites comparing one dry-and one wet-season. Metcalfe, D.J., O’Malley, T., Lawson, T.J., Ford, A.J. 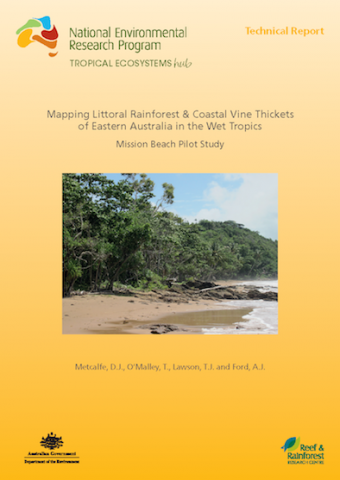 (2014) Mapping Littoral Rainforest & Coastal Vine Thickets of Eastern Australia in the Wet Tropics: Mission Beach Pilot Study. 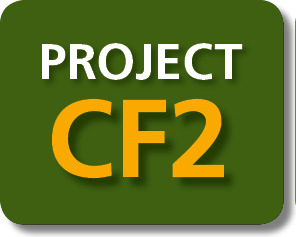 Crowl ey, G.M., Dale, A., Banks, R., Barclay, S., Birch, P., Buchan, A., Cocco, R., Crase, J., Crawford, S., Dielenberg, J., Donohoe, P., Edgar, B., Franklin, J., Frazer, B., Harper, P., Hinchley, D., Hoogwerf, T., Ikin, N., Johnson, S., Mackay, G., Maher, E., May, K., Miley, D., Mitchell, C., Moller, M., Morris, S., Musgrove, R., Peake, K., Pearson, D., Pentz, D., Schuntner, G., Sinclair, I., Standley, P.-M., Sweatman, C., Tambling, L., Wessels, A., and Wilson, B. 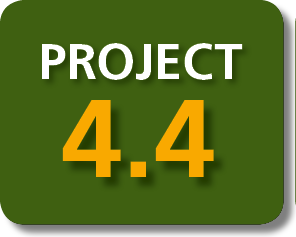 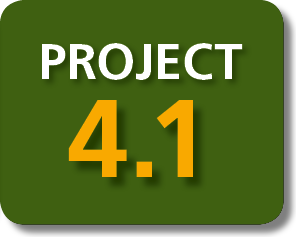 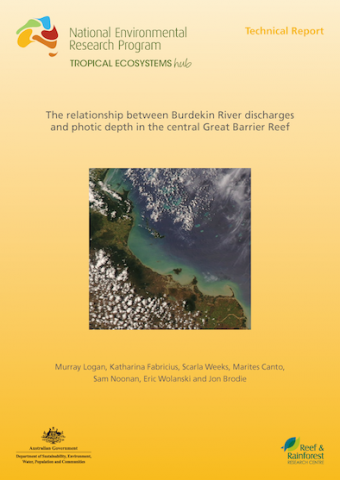 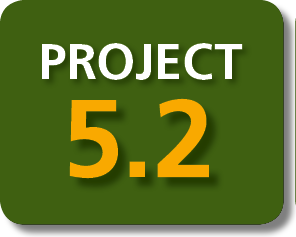 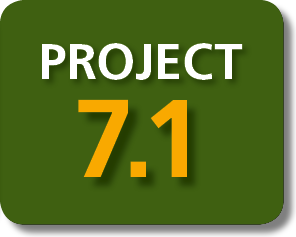 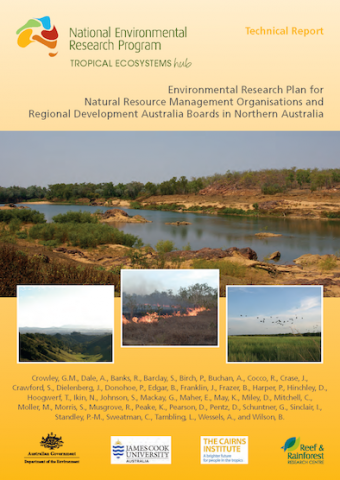 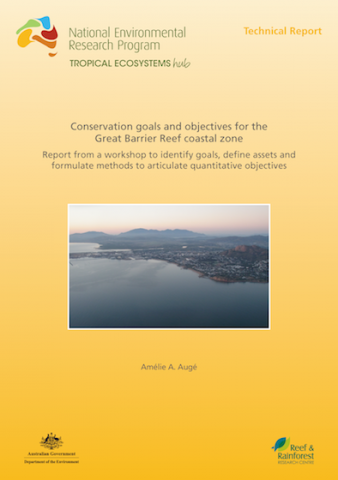 (2014) Environmental Research Plan for Natural Resource Management Organisations and Regional Development Australia Boards in Northern Australia. 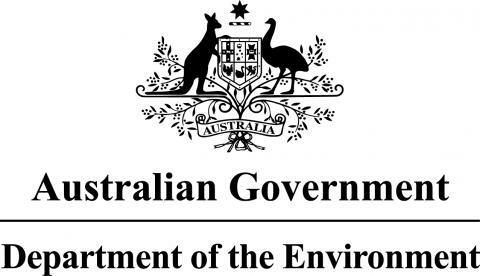 Crowley, G.M., Dale, A. 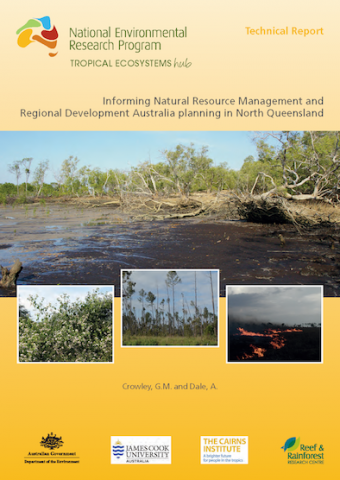 (2013) Informing Natural Resource Management and Regional Development Australia planning in North Queensland.